“Last spring, Nikki Beckett vanished, sucked into an underworld known as the Everneath, where immortals Feed on the emotions of despairing humans. Now she’s returned—to her old life, her family, her friends—before being banished back to the underworld… this time forever. I decided to read this book after I saw the 5 stars reviews it got from almost every single person on GoodReads. I mean, sure, it was yet another YA supernatural/romance/fantasy novel, but I figured it couldn’t be worse than books like Hush Hush and Fallen. Couldn’t be more happy I did! Nikki Beckett, a 17-year-old girl, gets sucked into the underworld called Everneath, where the Everliving Cole feeds on her emotions for 100 years. When the Feeding ends, she chooses to Return – back on Earth, back to her family and friends, where only 6 months have passed since she went underground. She only has 6 months on the surface to say her good-byes and to reconnect with her ex boyfriend Jack – the thing she wants the most – before she’s going to be dragged back to The Tunnels – a horrible place where humans are nothing more than energy/emotions batteries for the Everneath and it’s Queen. Nikki has a choice: go to the Tunnels or lose her heart, become an Everliving and return with Cole as his queen. She chooses to cheat Faith and try to remain on the Surface. If the story rings any bells to you that’s because you most probably heard it before. Remember the myth of Persephone? See, she was the daughter of Zeus and the goddess Demeter. Abducted by Hades, she’s taken to the underworld where eventually she becomes Queen. Even though, upon Zeus’ request, Hades agrees to let her go, he tricks her first into eating pomegranate seeds, which means she will have to return to the underworld every year, for a period of time. Greek mythology. Lovely. 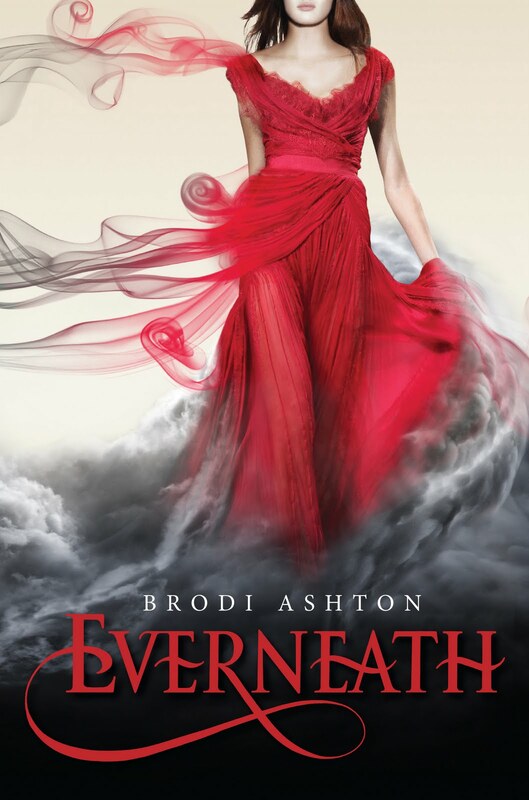 You could say Everneath is based on Persephone’s myth or is a modern re-telling of it, so I wasn’t sure what to expect in terms of execution. It’s hauntingly beautiful! Superbly written. The pacing of the story is smooth. Ashton intertwines narrative of the present with bits and pieces of the past – explaining Nikki and Jack’s relationship and how it all started. For a fantasy novel, more so one based on a myth, the fantasy elements are few. Apart from the obvious, the author doesn’t give her heroine amazing, orb-lightning-from-your-fingertips powers, incredible courage and a tight body in leather. There’s no showy paranormal which just makes this book even better! For action fans this might make it a tad boring, but the book is more about the characters and not the paranormal. One of the things I absolutely loved about it is how completely ambiguous and deceptive the book can be, up until the middle more or less. After Nikki Returns she’s empty, a shadow of herself, with no emotions of her own; pale, skinny. With no way of explaining where she’d been and how she’d got there without people thinking she was crazy, rumours fly around that she was in rehab. More than half of the book can be seen as a drug metaphor, really. A girl’s mind trying to make sense of what she’d been through. She even acts like an addict, her longing for Cole a symptom of it. Speaking of Cole, I have to (again) praise Ashton’s talent. She manages to make him both the bad guy and a sympathetic character, to a point, without making him smoldering hot and/or naked in every scene. Even though the relationship between him and Nikki is far from being a romantic one, they still need each other and have a strong dependency relationship. But the focus of the book is Nikki and Jack – the one whose face she never forgot, even after a hundred years in the Everneath. Such a sad and beautiful relationship and one of the few so well written, I actually thought they can and will make it through, they are in love. I loved everything about this book. The plot, the use of the timeline that gives an urgency to the story, the characters and above all the writing. There isn’t a single sentence that doesn’t serve a purpose and it’s almost like poetry in prose. Part one of the Everneath trilogy, the book ends on a cliffhanger and the second seems eons away, for me.